Without sufficient IT staff or the benefit of capable, cost-effective storage technologies, SMBs typically find backing up and recovering data to be a significant challenge. But now that data has become an indispensable asset to your business, you can't afford to ignore it. 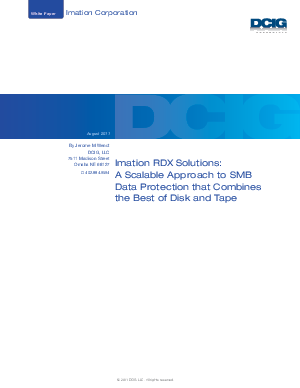 Learn why an Imation RDX solution is the perfect scalable solution for SMBs with limited resources.